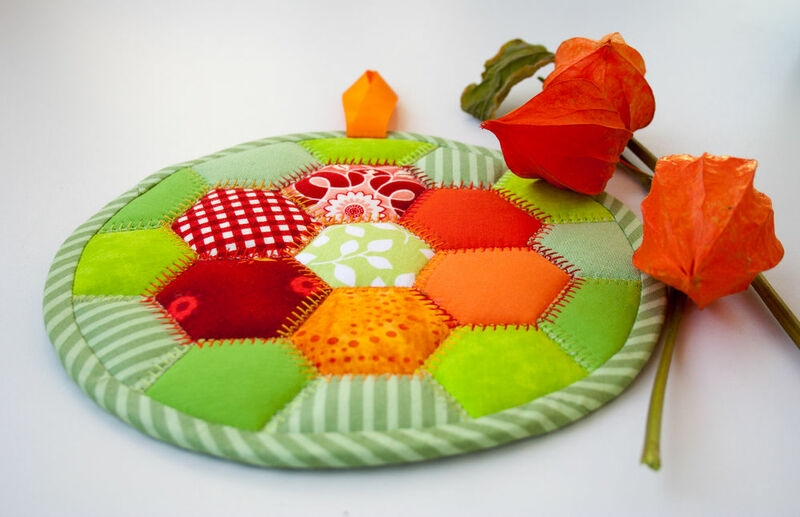 Hot Pad Patchwork Tutorial ~ DIY Tutorial Ideas! 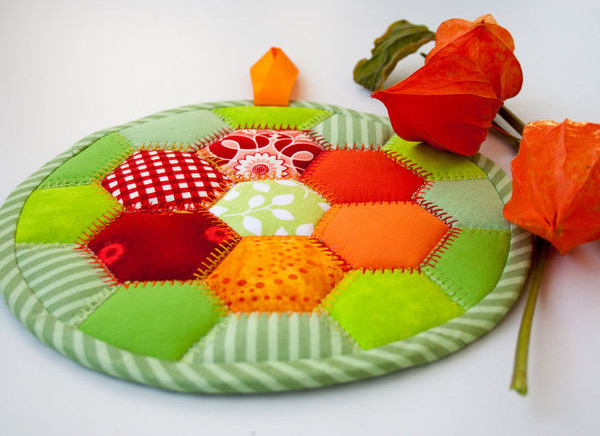 I like quilted hexagon blocks of "Granny's garden", but they are too complex to make, so I always put the work off indefinitely. 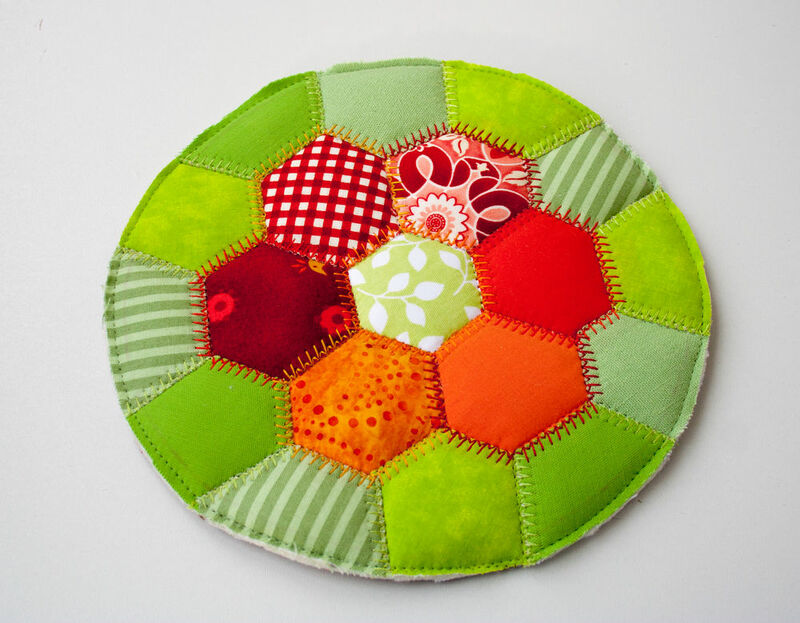 Then I thought why not to make something of hexagons using an appliqué technique and started working. thread, scissors, a pencil, a water-soluble marker, a ruler. 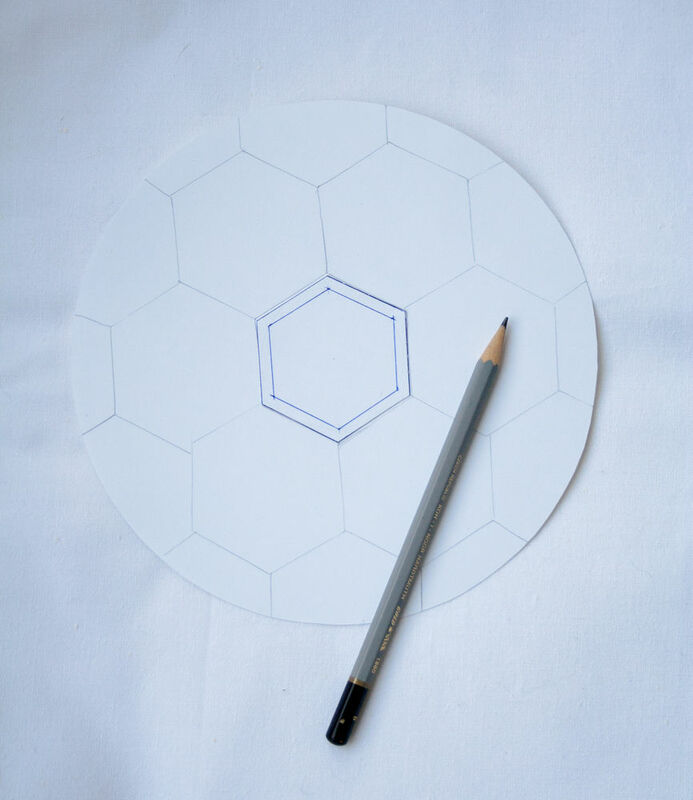 Now, remember the school geometry course and draw a hexagon with 3 cm wide sides. 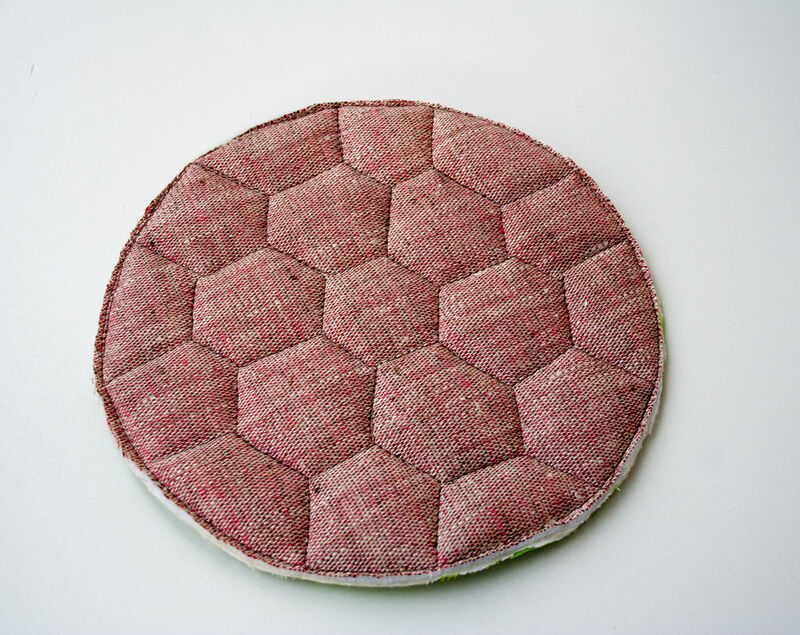 padding polyester: two circles by a pattern. 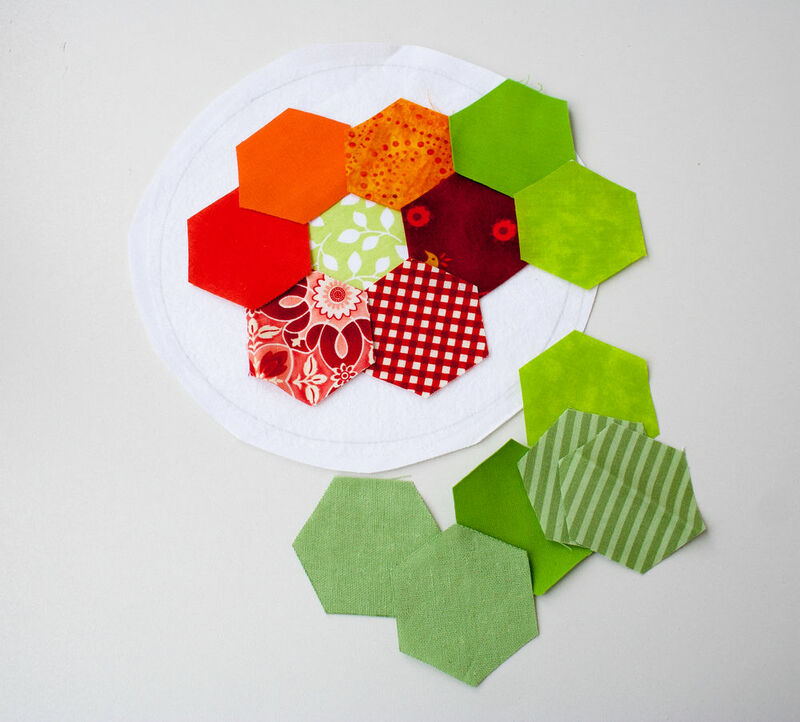 Put the fusible web on a white cotton circle, then add coloured hexagons forming a flower. 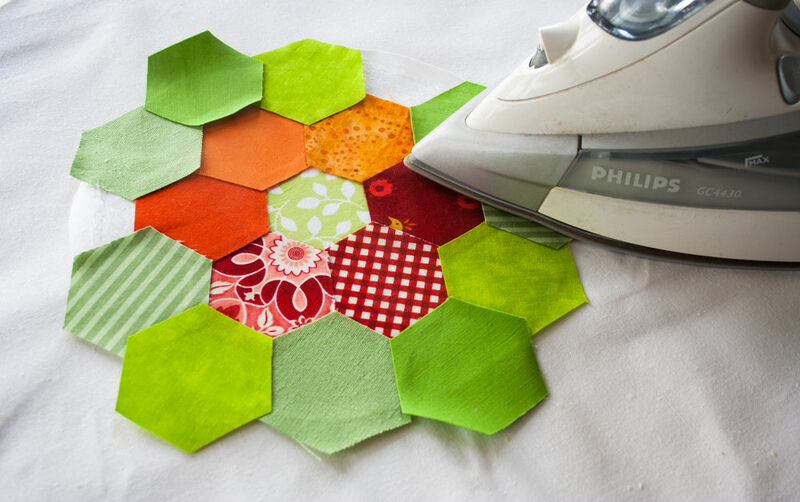 Carefully iron on, try not to move the hexagons. 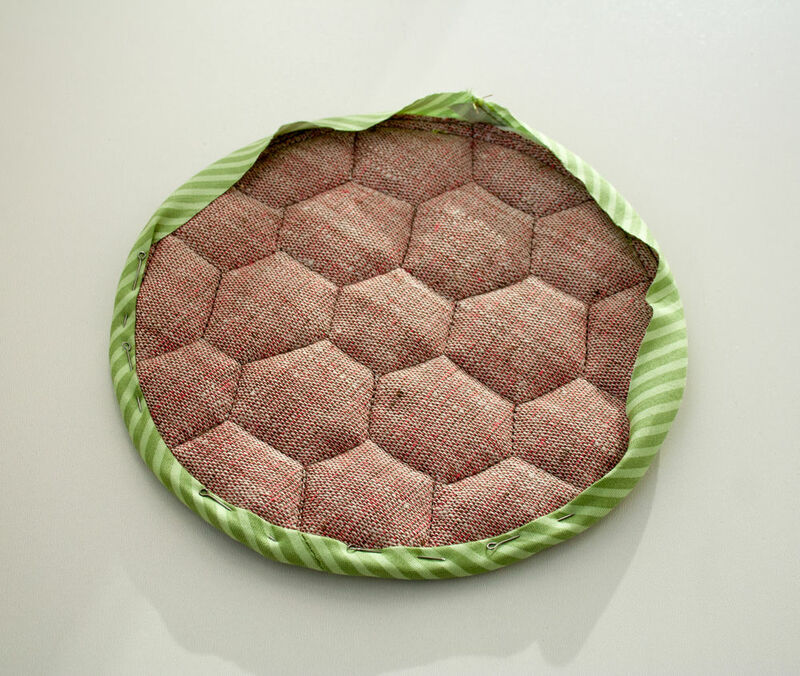 Put a "sandwich" together: the top of hexagons, a circle of padding polyester and a piece of white cotton. 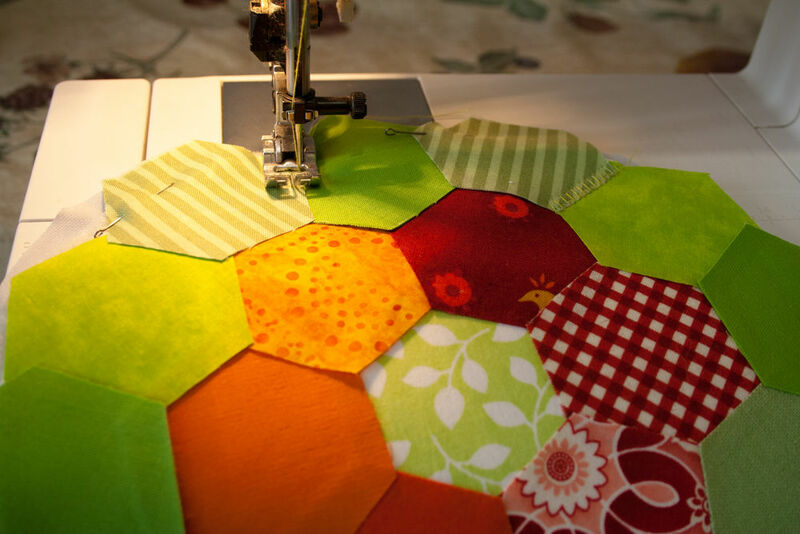 I want to draw your attention to the fact that we will not quilt all the layers of the base at once, we will quilt the top and then connect it with the bottom side of the linen. 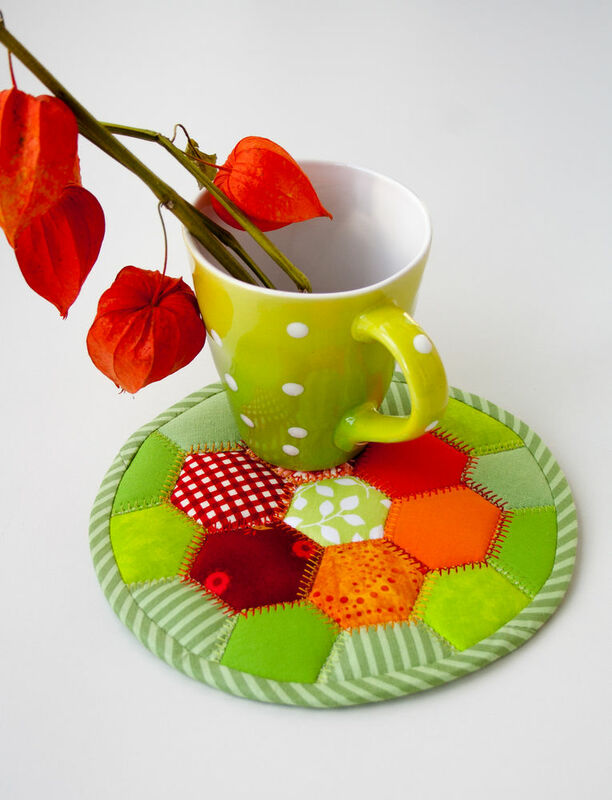 We do so because quilting of the top is made with decorative stitching on a sewing machine. 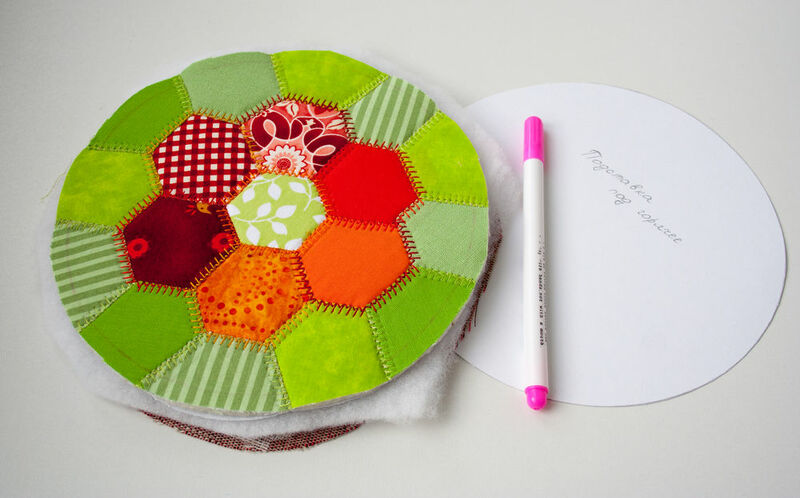 If you quilt all the layers at once the bottom of the pad won't look neat, there will be the ends of the thread. In my case the back side will be neat. 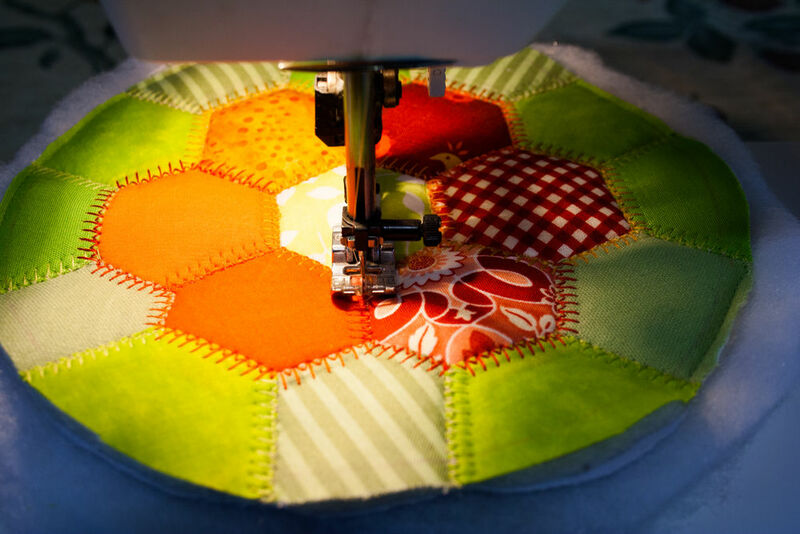 Pin everything together, set the sewing machine on a decorative stitch (or zigzag), and stitch all the sections of hexagons. In the end, here what a beauty we have! 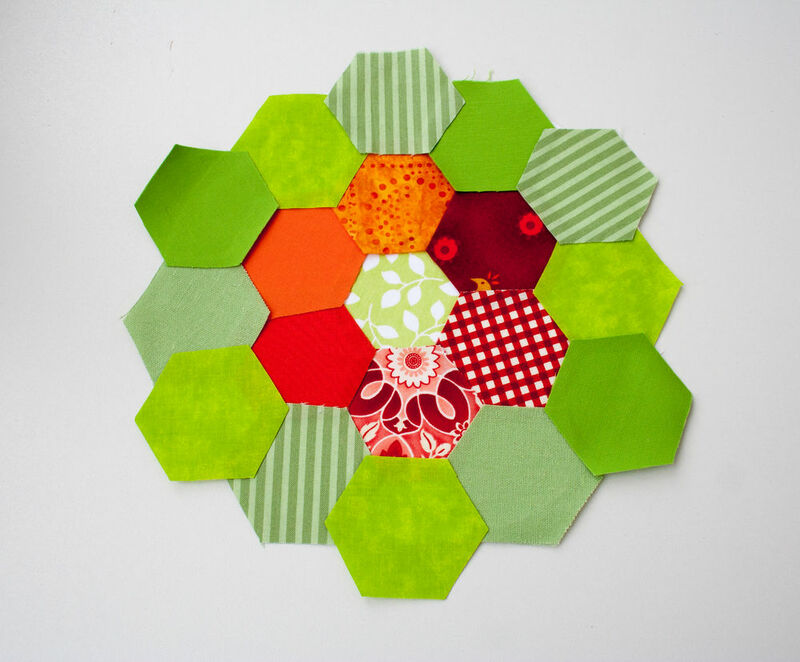 Use a pattern and a water-soluble marker to draw the outline of the pad on a patchwork element, cut the extra. 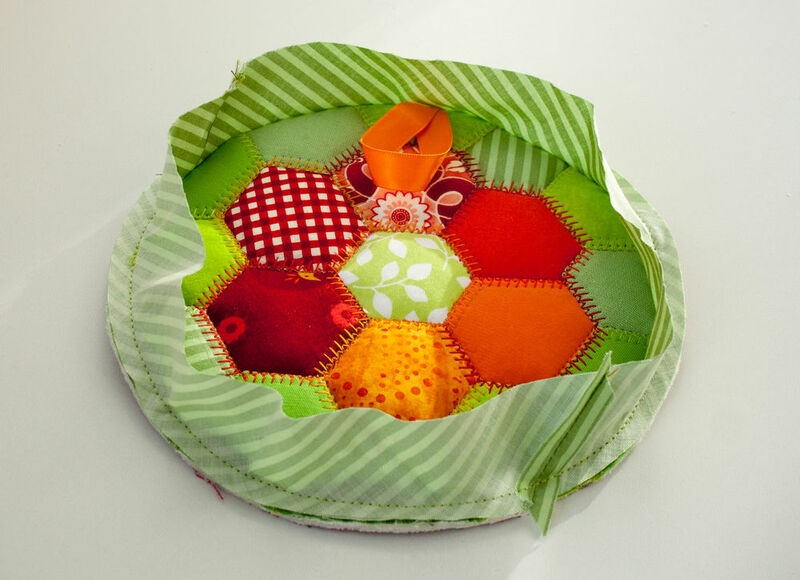 Make one more "sandwich" with a linen bottom, a layer of padding polyester and a quilted top. 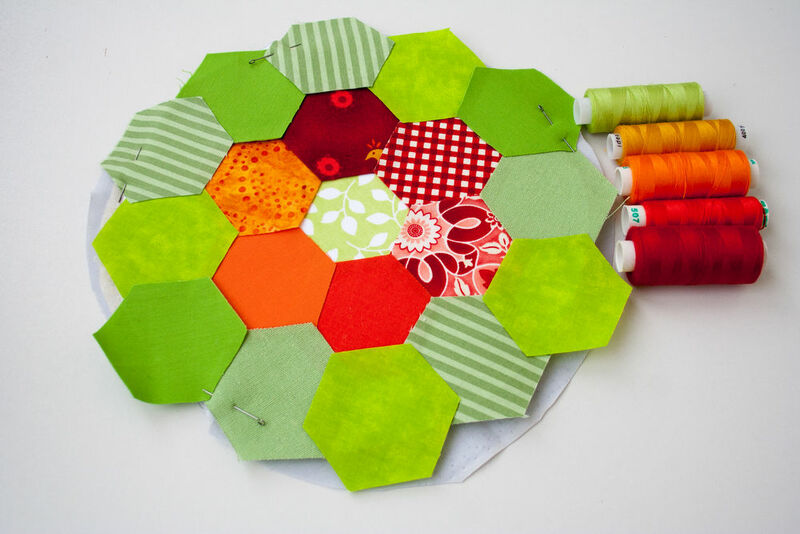 Pin everything together and stitch exactly in the seam on all sides of the hexagons. 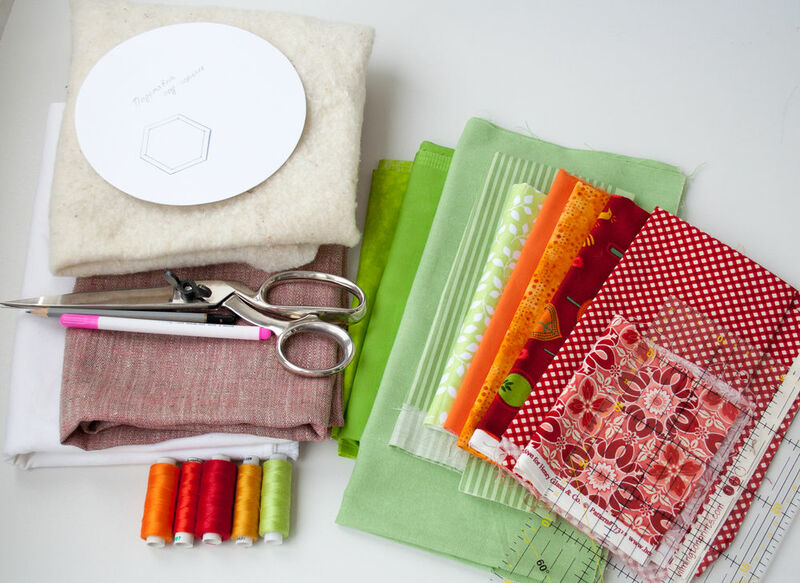 It is convenient to use a monofilament thread — it is hardly visible from the front side of the product and it doesn't spoil the look of decorative stitches. 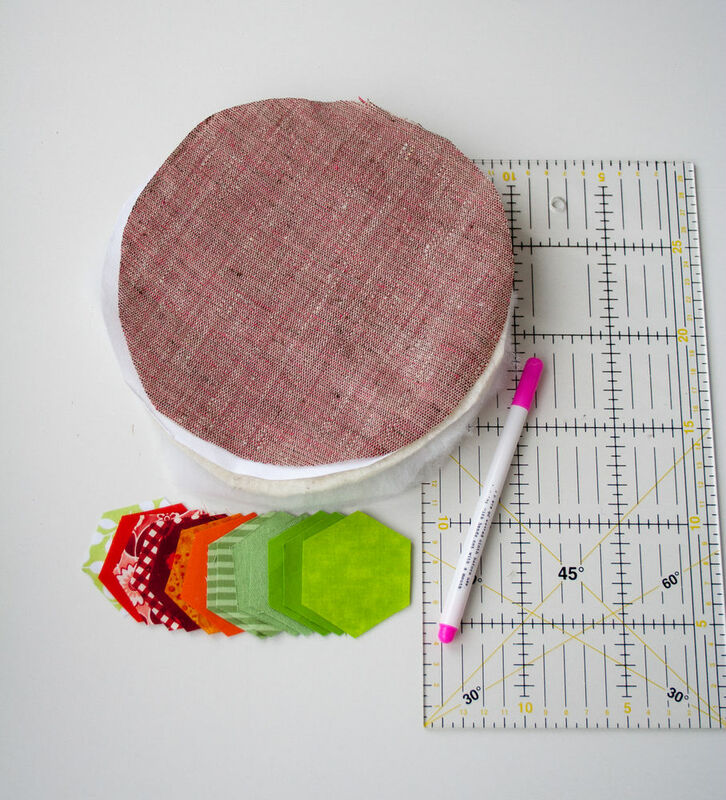 Now make a bias tape for the edges of our pad. 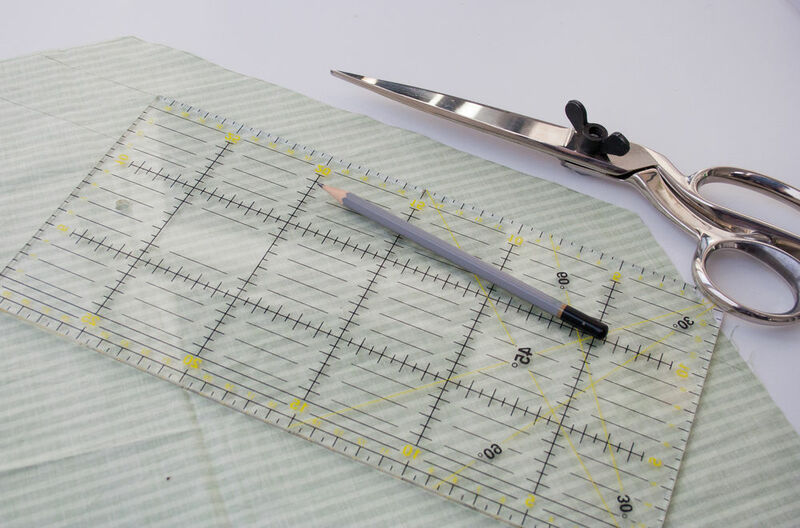 Cut a strip of cloth with a width of 3.5 cm and a length of 62 cm. Cut a small piece of satin ribbon (or cotton lace) for a loop. 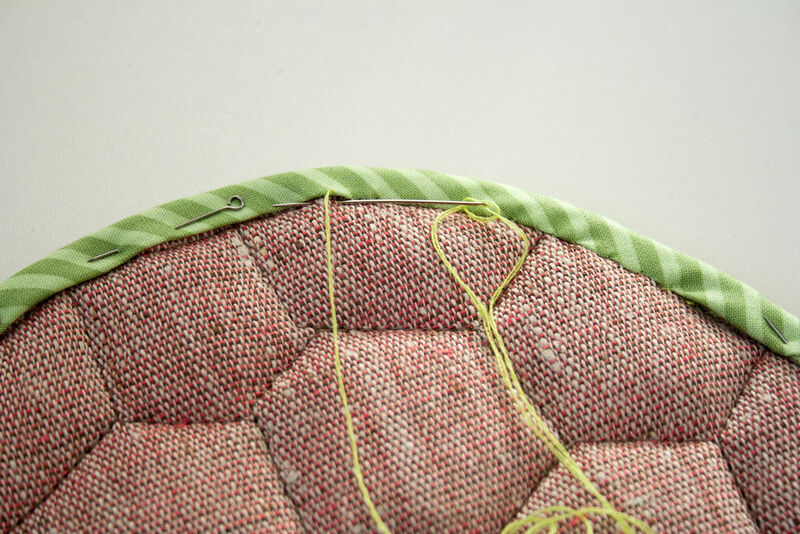 Turn down the edging to the bottom side, pin open cuts and carefully turn down and stitch the edge by hand. I prefer to stitch a bias tape by hand, I always use this method, it looks nice on both sides. You can do that using a sewing machine, but in this case, you should always try to keep the line smooth on both sides. Our pad for hot pots is ready! You are so clever! 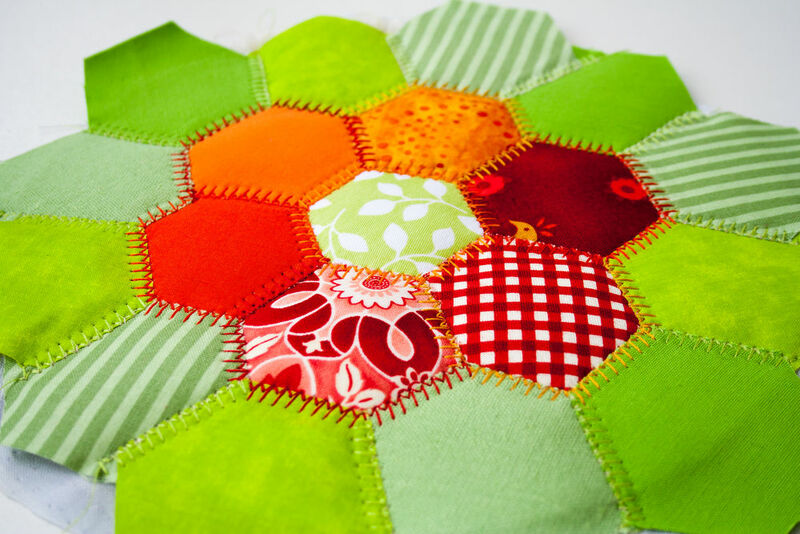 I love the hexies, but a large project takes a lifetime. This is perfect for a great gift. Thank you.